A carcinoma is a malignant (cancerous) growth that arises from the epithelium (the covering of internal and external surfaces of the body, including the lining of vessels and other small cavities). This includes the skin and lining of the organs such as breast, prostate, lung, stomach or bowel. 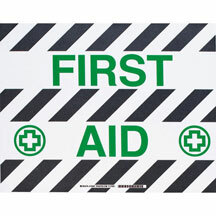 We have all kinds of anti-skid floor marking signs at Safety Emporium. Carcinomas tend to spread (a process called metastasis) through the blood vessels, lymph channels or spinal fluid to other organs such as the bone, liver, lung or the brain. While metastasis is not always a fatal progression of cancer, it is a serious complication that worsens the chances for defeating the disease. According to the American Cancer Society, at least 80% of all cancers are carcinomas. According to NIOSH's Publication No. 2010-145 (May 2010), past estimates that about 4% of cancer deaths in the U.S. are caused by occupational exposures have underestimated the actual rate. For example, exposures to carcinogens in the workplace may not result in cancer until 15-40 years later. "Carcinomas" usually appears on an SDS as a health effect caused by chronic (long-term) exposure to a carcinogen (cancer-causing substance). The MSDS may specifically mention studies that have shown this effect in animals and/or humans. Use extreme caution when working with carcinogenic (or potentially carcinogenic) materials in the workplace. Be sure to use all proper personal protective equipment (PPE) and to minimize your exposure. Find alternative procedures or materials if possible. Proper engineering controls and adminstrative controls are definitely required when working with carcinogens or potential carcinogens! 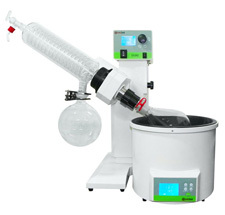 Safety Emporium has all kinds of lab equipment such as rotary evaporators. The National Cancer Institute (U.S. National Institutes of Health). The OSHA Occupational Chemical Database allows to to find all chemicals with carcinogen determinations. Cancer Research UK includes an entry on Cancer risks in the workplace. See the Further Readings section of the carcinogen entry for lists and databases of cancer-causing substances. Cancer, including Breast and Prostate at BioMedSearch, a search engine for highly technical info on the topic. See also: carcinogen, clastogen, cytotoxin, mutagen, teratogen.